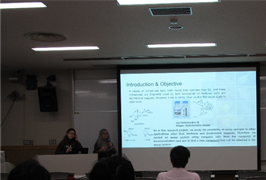 On December 11, we held the final internship research presentations from the 4 students from Singapore Republic Polytechnic (RP). 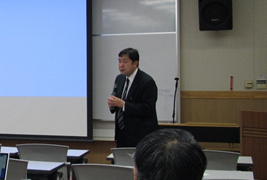 The presentations took place in the lecture room in National Institute of Technology, Hakodate College (NIT). 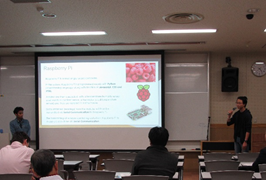 The RP students divided into 2 groups for each department they belonged to, and presented the results of their three months studies at NIT. Also, they accurately answered questions of the teachers present. 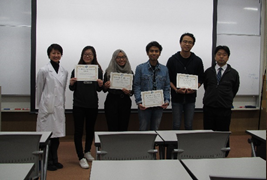 After their presentations, Professor Nakamura, the Director of International Exchange Center, gave them a certificate of completion.